I know, I know. Walmart has been playing “Santa Claus Is Coming to Town” and “Holly Jolly Christmas” since November 1. But I haven’t. In the car, I dodge most of this dreck with a steady diet of satellite radio classic rock. At home, I wait until about now to start listening to the Christmas stuff. And even then it’s on my own terms. I’ve been collecting Christmas CDs for over 30 years now and I have a number of vinyl LPs that are even older. They make the basis for good listening in the Advent and Christmas season so I don’t have to get my music fix on Majic 100 or at Giant Tiger. Here is a brief selection of my favorites at Christmas time. Most are pretty old – I haven’t bought much lately, so there’s no Beyonce or Ariana involved. No Kanye either. Huddersfield Choral Society – This British to the core choir made the best of many CDs of traditional choral music in my collection. They are wonderfully lush and melodic. Mannheim Steamroller – a series of Christmas CDs by the rock/classical fusion group founded by Chip Davis in 1974. Music varies from medieval to contemporary – but always unique, always fresh. 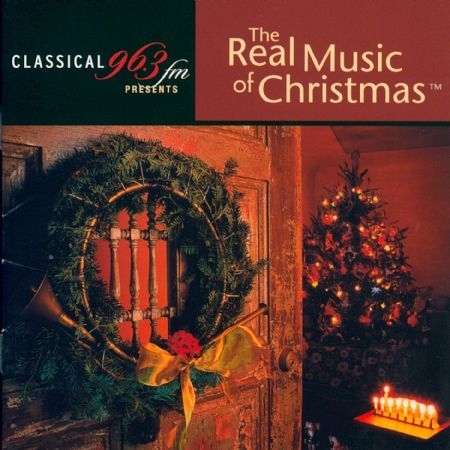 The Real Music of Christmas – every year in the late 90s, the Toronto classical radio station CFMX used to have a month-long festival of carols and traditional Christmas music called “The Real Music of Christmas.” Some of this got published on CD. I got a couple of different ones and they are truly beautiful to hear. A Very Special Christmas – A series of CDs put out in the 80s and 90s to support the Special Olympics. Music varies from carols to remakes of the Phil Spector rock classics. The artists are the pop stars of the late 20th century – everyone from Springsteen to Wilson Phillips. Nat King Cole and Roger Whittaker – The Christmas Song. Both of these great singers put out an album of Christmas favorites and they are both worth a listen. Cole’s is an absolute classic though. His soulful version of “O Holy Night” is probably my favorite carol ever. There are many more Christmas CDs that I enjoy listening to as well – James Taylor, Judy Collins, Blackmore’s Night, The Kingston Trio, The Moody Blues, The Chieftains, The Philadelphia Orchestra, Richard Marx, Kathy Mattea, Trisha Yearwood. Most of them don’t get played on the radio these days, but they make for a musical treat around the Almonte homestead. That reminds me – better get the old CD player warmed up.